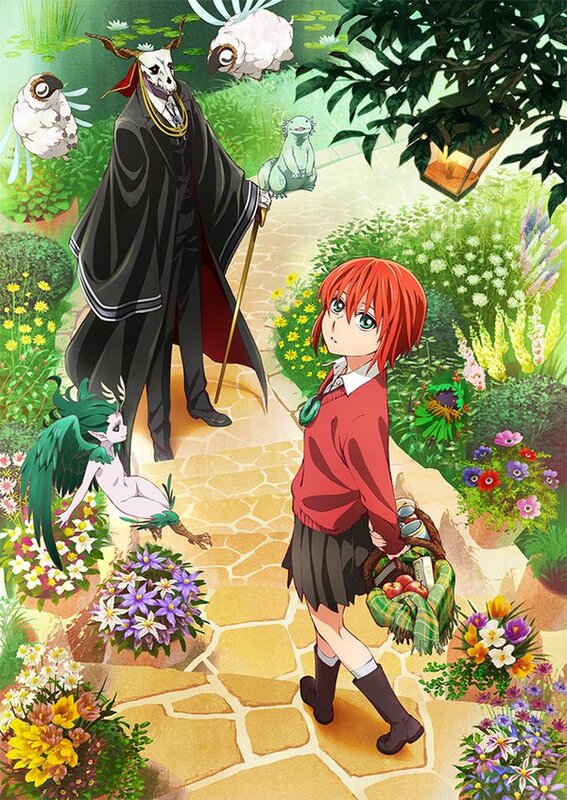 A few weeks ago an announcement was made that there was going to be a series of OVAs produced dedicated to prequel material of one of my favorite currently running manga series – Mahoutsukai no Yome, or “The Ancient Magus Bride”. To say that I and other fans (it has a dedicated and zealous fanbase to be sure) were ecstatic would be an understatement. But when a pv appeared the anticipation and excitement increased all the more – it was really, really well done. “The fifth volume of Kore Yamazaki ‘s manga The Ancient Magus’ Bride ( Mahō Tsukai no Yome ) is announcing on Thursday that the manga is inspiring a three-part prequel anime by Wit Studio . 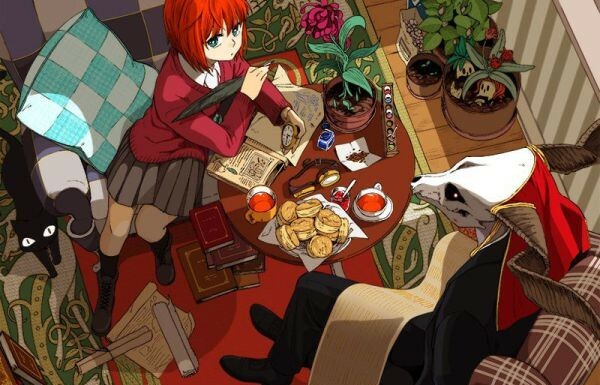 The announcement notes that the Mahō Tsukai no Yome: Hoshi Matsu Hito ( The Ancient Magus’ Bride – The Man Who Waits for Stars) anime tells a story from before Chise meets the Magus. “The cast includes: Atsumi Tanezaki as Chise Hattori, Ryota Takeuchi as Elias, Kouki Uchiyama as Ruth and Aya Endo as Silver. “Yamazaki wrote the original story for the anime. Norihiro Naganuma ( Hozuki’s Coolheadedness assistant director, Yowamushi Pedal movie director) is directing the anime at Wit Studio , and Aya Takaha ( Psycho-Pass episode 12 script) is penning the scripts. Hirotaka Katō ( Empire of Corpses animation director, Hozuki’s Coolheadedness ) is designing the characters for animation, while Bamboo ( Hozuki’s Coolheadedness , Empire of Corpses ) is handling the background art. “The three volumes of the anime will be bundled with the sixth, seventh, and eighth volumes of the manga. The first part will also have a limited two-week run in eight theaters throughout Japan, starting on August 13. A promotional video for the anime will begin streaming on YouTube on Thursday at 12:00 p.m. JST. “Mag Garden registered the ‘Magus-Bride.jp’ domain name in December. I would be totally remiss if I did not include a link to the preview! Once again, you can be absolutely sure that I will be blogging these OVAs, and if this is (hopefully and as some suspect) this turns out to be a foreshadowing of the series getting a full anime treatment then you can bet your boots I will blog that as well!